Foren > International Board > International Board > International > Gramophones, Phonographs etc. 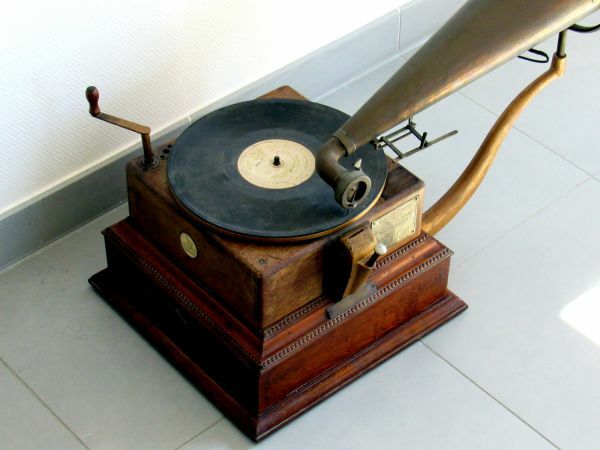 I am looking for some information on a coin-operated Deutsche Grammophon gramophone, that we recently found in Lorraine, East France, still with a WW1 German propaganda music record. 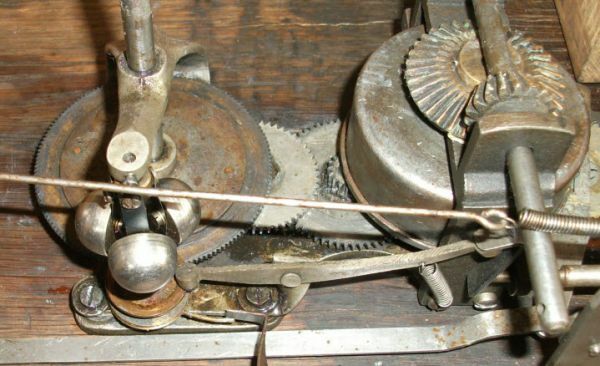 The gramophone works but it is missing the mechanism that brakes the governor to control the speed, with the result that it is turning too fast. I was trying to look how the missing device should have been but I could not find a similar motor from Deutsche Grammophon. Do you know by chance how the missing device could have been for this set? Wäre schön wenn vielleicht doch noch jemand helfen könnte. OK, I will try to explain how I think it might work. First a disclaimer, I have never seen this specific type motor before, so everything I discuss here is based on similar style governors in early Victor machines (Victor M, MS, and R). 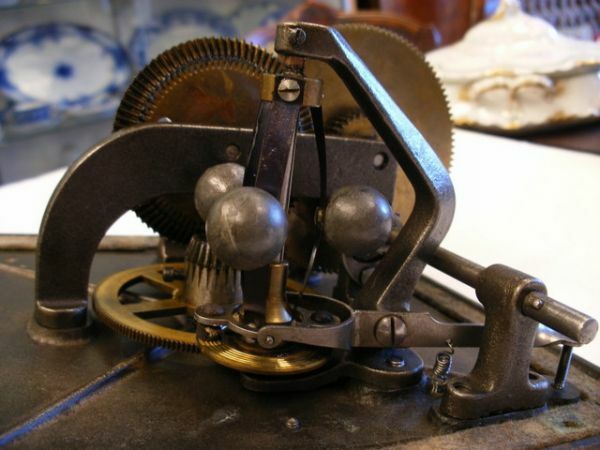 The similarity in all these machines is the upright governor that looks very much like the one in your machine. 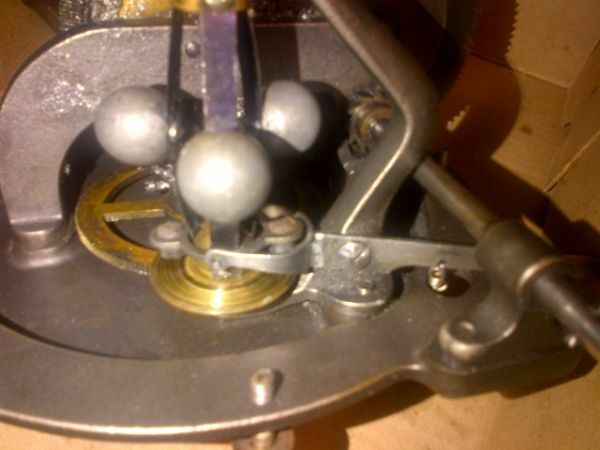 The main difference is that on all these Victor machines the motor is attached to the motor board and not to the base board, so it is upside down. I still think the governor must work similarly, maybe with a different type of lever. 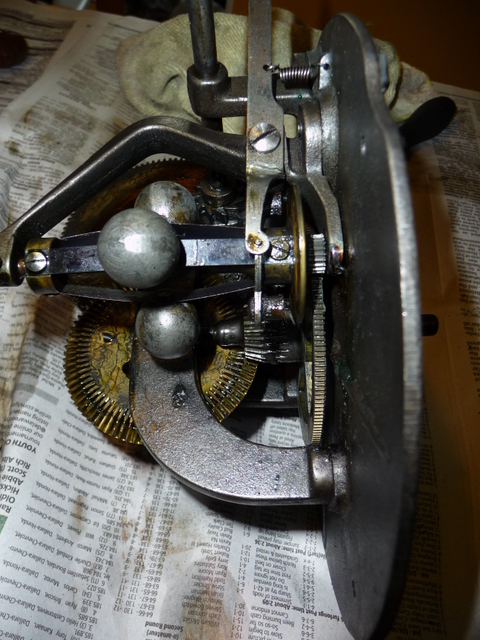 On the first picture of your machine one can see an escutcheon next to the crank. This escutcheon should have a speed control screw like many later Victor, HMV, and Deutsche Grammophon machines. This screw puts pressure on a lever arm which probably pivots around a screw that connects it to the governor "cage". 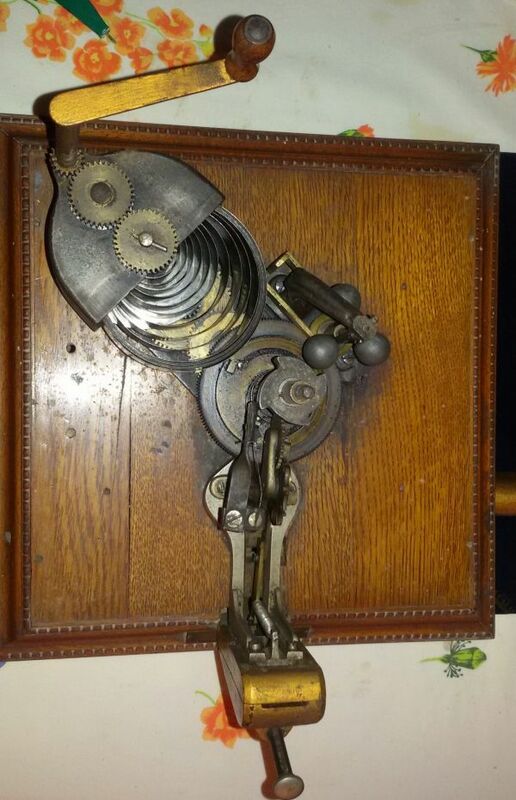 At the other end of this lever arm is probably a fork with a pivoting ring with friction leathers that limit the governor disc when the set speed is reached. Please see pictures below from Victor M, MS, and R machines with a similar setup. 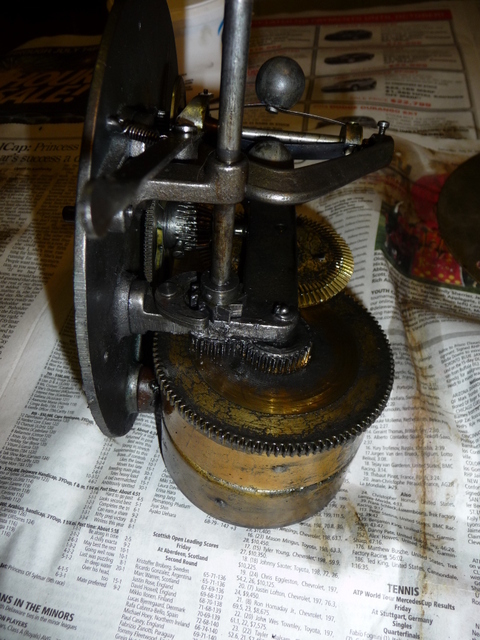 The third picture shows the motor and the governor assembly separated. See if you can find the pivot point on your machine, then you can probably imagine what the arm would have to look like. If you cannot find the correct arm for a DGAG machine, I would measure it and try to find one for a US Victor machine that has similar dimensions. Worst case you would have to have one made following the Victor style, but with the correct size for your machine. Hope that helps. May I ask you for some pictures showing the inside of the lid and the side few of the governor element. Your machine should have joint element between the regulating screw and the speedregulator itself. 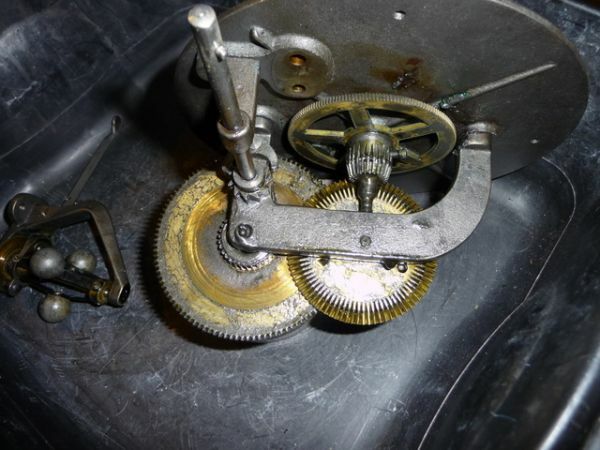 Your machine may have a mounting similar to the one I attach here with a gearing coming from top. In the meanwhile a member of the forum expressed his interest in purchasing the gramophone so I gave up and let it go. He may continue the thread if interested in restore the functionality.